Yarn pompoms are not only easy to make they also make everything they adorn 10X cuter. This is not an opinion, it is a cold hard fact of craft life. A Christmas mantle, sweaters, planters – all are better when you put a pompom on it. Recently I got crazy on the DIY Network Facebook Page and added them to throw pillows! 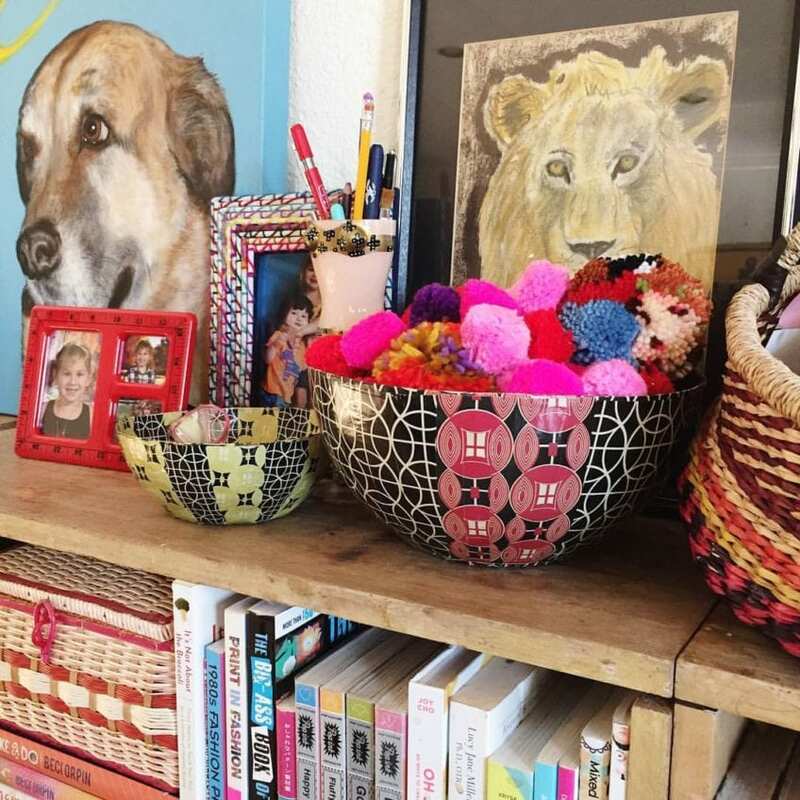 The first thing you need to make amazing pompom pillows is a bowl full of pompoms. The ones you buy at the store are acrylic and just won’t cut it. There are no shortcuts for this part, hunker down and get ready to make a ton of pompoms. How you make those pompoms is up for debate. Cell Phone Pompoms – I mentioned using my cellphone as a pompom template. Behold the quick and easy way to make a scrap yarn pompom on your telephone. Pattiewhack Pompom Tools – In the DIY Network video I show an acrylic tool that looks like the Empire State Building. This fun tool was made by Pattie Wilkinson better known as Pattiewhack. Pompom Maker – I’m honestly not sure that these tools are still being made by Plaid (the one I use), but apparently Clover and Darice still make them. It took my watching this video by Craft Test Dummies to figure the whole thing out, but now that I’ve got my groove on it is my go-to tool. Handy Work – No tools necessary, you can just use your hands. My pal Vickie Howell shows you how in this hand dandy video. Fork Pompoms – The clever folks over at Red Ted Art made this video that shows you just how handy forks really are. You thought they were just for eating. Cardboard Discs – Everybody has cardboard lying around so these pompoms are ridiculously easy to make and use. Thanks Bernat for the video. Circular Loom – This video by A.C. Moore just about blew my mind. I see these looms at the thrift store all the time and I could be making pompoms in bulk if I had one. 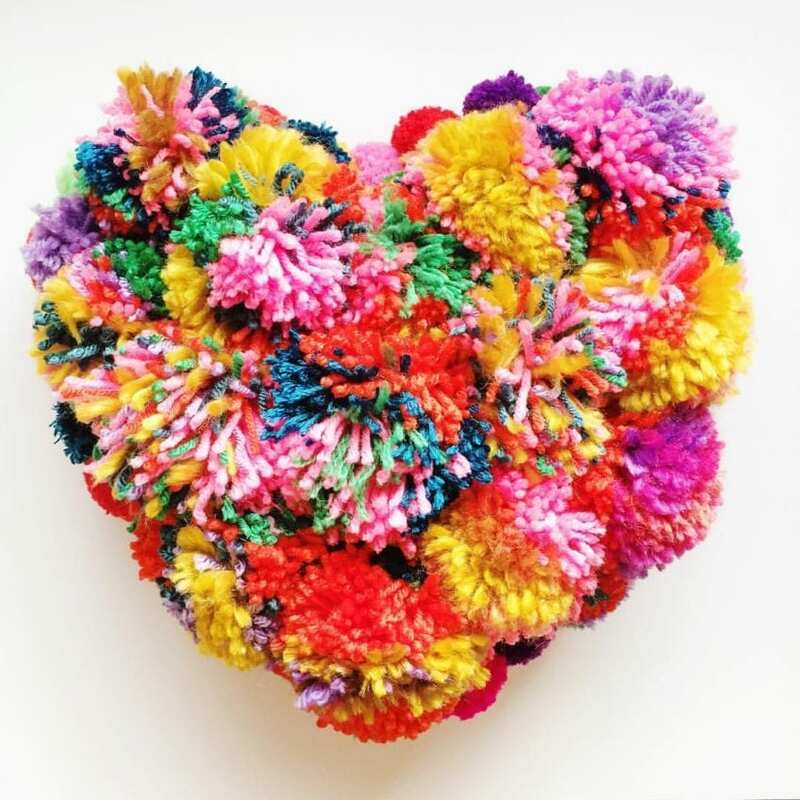 What is your preferred pompom making method? Have a new one I’ve yet to try? Tell me everything and please let me know what you think about my pompom pillows! Posted February 24, 2017 & filed under Crafts, DIY Network/HGTV, Home Décor Crafts, Needle Crafts, Uncategorized. This is absolutely adorable! I love the texture and the bright colors. Just a perfect cozy home addition. Love pom poms! Have never tried making my own but will have to watch one of your great videos to teach myself. Visiting from Made By You Monday party. That’s adorable! Thanks for sharing this at the DI & DI Link Party, we hope you had fun and made some new friend. Have a great day! Yay, pom pom all the things. This is gorgeous. I used to make pompoms on circles of card but now I usually make them over my hand and then trim them down to size, which is MUCH quicker. It does feel like you waste quite a lot of the yarn though – I love that you have provided options! The pompom pillow looks awesome! This is gorgeous DIY project!